Delayed Lupin flowering important to increase yield. UWA postgraduate student, Candy Taylor, recently delivered her thesis on lupin flowering times at the University of WA’s Frontiers in Agriculture showcase. During the presentation, Ms Taylor highlights that Australia accounts for 51% of the global 1.3 million tonnes of Lupin production. And Western Australia produces a staggering 70 – 80% of Australia’s lupins. Lupins tend to flourish in the Northern Wheatbelt thanks to the short seasons. Because of the Lupins early flowering time, parts of WA don’t capitalise on later season rains which are perfect for lupin crop. Ms Taylor has concluded that by delaying the flowering time of a narrowed leaf lupin for 22 days, you could increase yield by up to 16%. Whereas, the best delay of flowering for high rainfall areas to boost yield is 18 days. 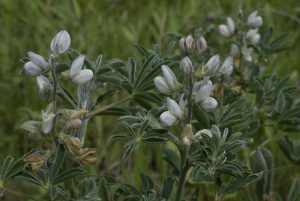 Click here to learn how our RHIZO-ID kits can help increase your legume yield.